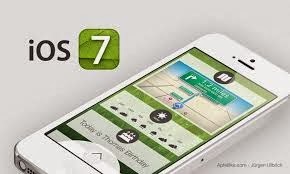 iOS 7 is an Apple operating that has been updated and upgraded for the sole purpose of changes for the better. The latest version was released on Wednesday by the giant company that prompted its competitors. With this, Apple is bound to invade the market with its release of the latest iOS 7 operating system. If you have a recent model iPhone, iPad, or iPod Touch, you can download the software for free. Let me just create a short summary of what I felt good about using this operating system for my phone. At first, I had difficulties dealing with all its aspects that is why I made an option of going back to iOS 6 for I believed everything is working for me but I had the urge to make use of the latest operating system for upgrade and I want to avail the latest offers of Apple when it comes to applications and the like. Being disoriented with the software is the best description for me at first. Being impatient lead to searching a bit about how to use the operating system with my iphone and I got what I needed. My efforts of figuring out all the matters of the phone made me comfortable and at ease with my phone nowadays. I should say “thank you for the upgrade”. The company’s release of free application made me crave more for updates and upgrades in the future. The fact is I made up my mind after the experience to give into every changes Apple would like to impart for the better.